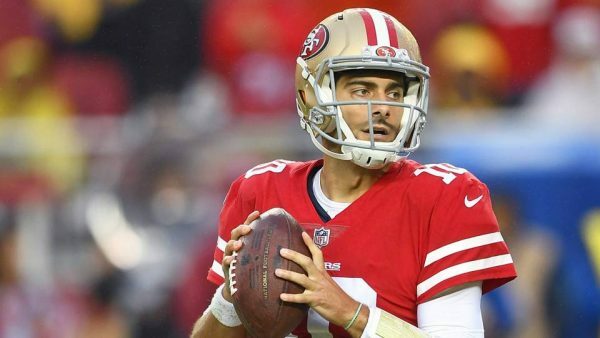 Joe Montana, the Hall of Famer who led the 49ers to four Super Bowl titles wants to see more from quarterback Jimmy Garoppolo before anointing him a franchise quarterback, Matt Kawahara of the San Francisco Chronicle reports. During an appearance on NFL Network’s “Good Morning Football,” Montana was asked about those already deeming Garoppolo a savior of the recently downtrodden 49ers franchise. “I think it’s still a little early for it myself,” Montana said. “He’s obviously had a lot more success in the games he’s played in so far than the other quarterbacks that have been there recently. So I think there’s a lot of excitement in the Bay Area about it. Montana added that he rarely has seen quarterbacks leave a system where they’re entrenched behind a successful starter — as Garoppolo did, coming from his role as Tom Brady’s backup in New England — and thrive in a different offense. Be the first to comment on "49’ers Great Joe Montana Not Ready to Anoint Jimmy Garoppolo as a Franchise QB Just Yet"